Are you one of those people who likes to do "everything"? By that I mean that you have many irons in the fire at the same time....I admit, I am one of those people. I like to feel the momentum around me and participating in different things and have projects fits my style. When I was working I always felt as though I was juggling....there were many projects happening and things were always whirling. That is the way that I have approached retirement, also. I love the energy! All of that said, I am adding a cooking group to the mix. 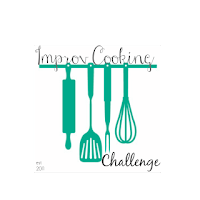 The Improv Cooking Challenge is a group of ladies who love a challenge! Each month two ingredients are listed and the cook is to find a recipe or create a recipe that uses the two ingredients. I am more of a "find a recipe" type of gal so I went searching for January's ingredients: lemon and rosemary. They are such a delightful flavor combination. I found the perfect recipe for us. It was in one of 2016's cookbook recommendations, Better Baking: Wholesome Ingredients, Delicious Desserts by Genevieve Ko. Her book has used alternative ingredients and fats to make delicious, "better for you" recipes that are painless and fun! You will want to check it out. In fact, you can peek at it here. Her mini muffins are the bomb! 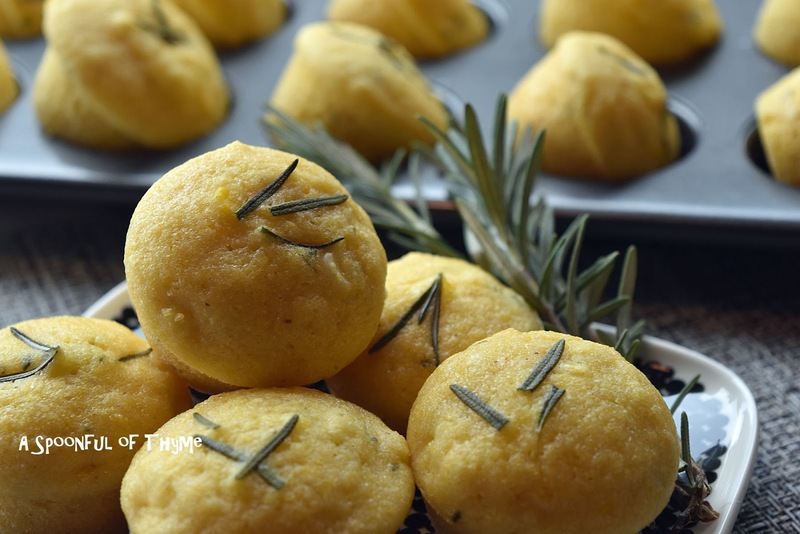 In a large bowl, whisk together the cornmeal, flour, sugar, baking powder, baking soda, and salt. Add the corn and rosemary. Toss until the corn is coated with the mixture. Set aside. In a medium bowl, combine the milk, oil, maple syrup, and egg. Zest the lemon into the mixture, add 1 Tablespoon fresh squeezed lemon juice and whisk to blend. Make a well in the dry ingredients and add the wet ingredients. Fold gently until the dry ingredients are evenly moistened. Divide the batter evenly among the prepared muffin cups. The cups will be almost full. Top each muffin with a few rosemary leaves, if desired. Bake until the muffins are golden brown and a toothpick inserted in the center of a muffin comes out clean, about 15 minutes. Cool the muffins in the pan on a wire rack for 5 minutes. Pop the muffins from the tin and cool on the rack until warm or at room temperature. Make Ahead: The muffins are best served the same day but can be kept at room temperature for up to two days. They may be frozen for two weeks. 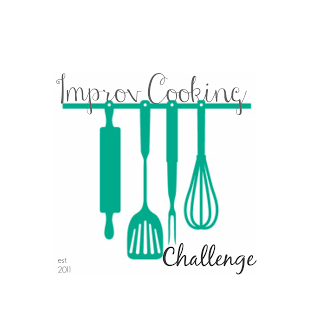 If you would like to join in, check out the Improv Cooking Challenge post made by our hostess, Nichole, at Cookaholic Wife. I am also sharing at Full Plate Thursday hosted by Miz Helen's Country Cottage. I love that they have cornmeal & fresh corn in them, too. I'm jealous of those muffins. My first attempt this month was cupcakes.....a complete fail. Yum - I love muffins! These look great! My mouth may have started watering looking at these! OOh Muffins, love the addition of cornmeal. On my list to try. Love the maple syrup AND all the rest of the flavors you put together here. I think you rocked this challenge. 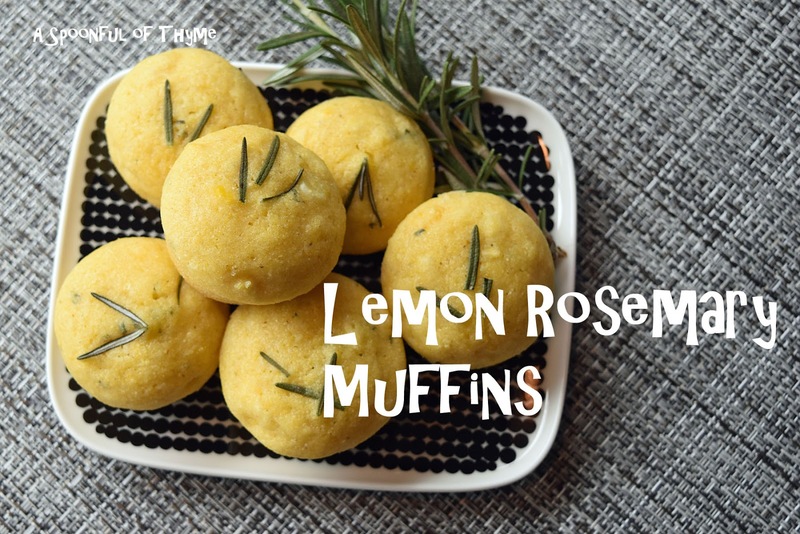 We would love these muffins, I will be pinning this recipe. Hope you are having a great day and thanks so much for sharing you awesome post with us at Full Plate Thursday.